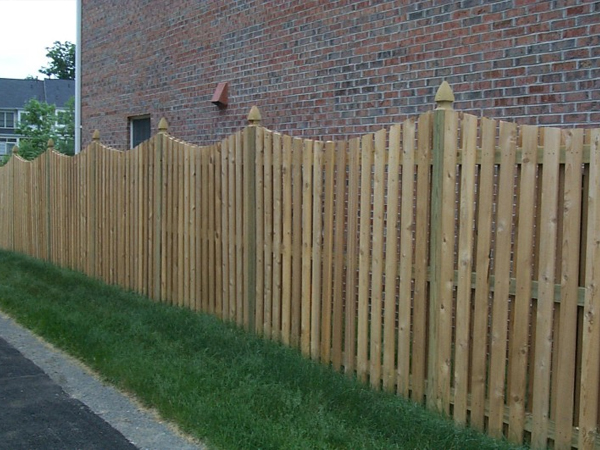 Wood fences are popular for both residential and commercial applications. A traditional wood fence is hard to beat for its classic warm look and aesthetic appeal. Wood fences need a little more care than most fences however, as wood is more susceptible to the elements. With the proper care and maintenance, you can keep your wood fence looking just as good as the day it was installed for many years to come. Sealing your wood fence with a wood sealer is essential for keeping it protected from the elements. Sealing prevents mildew from building up on the fence and causing rot. 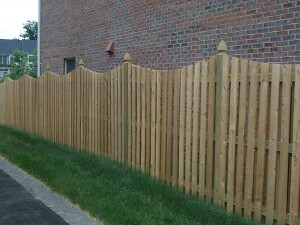 Read our blog on how to seal a wood fence for more information. Obviously you can’t help the rain falling on your fence, but make an effort to keep it dry otherwise. Position sprinklers away from wood fences to avoid getting them wet and avoid water pooling up around fence posts, which can cause structural damage. Vegetation has a habit of growing on and around wood fences, which over time can weaken its structural integrity. Keep your fence clear of vines, tree limbs, and other vegetation that starts to grow on it in order to keep it protected. This entry was posted on Friday, August 8th, 2014 at 4:09 pm. Both comments and pings are currently closed.